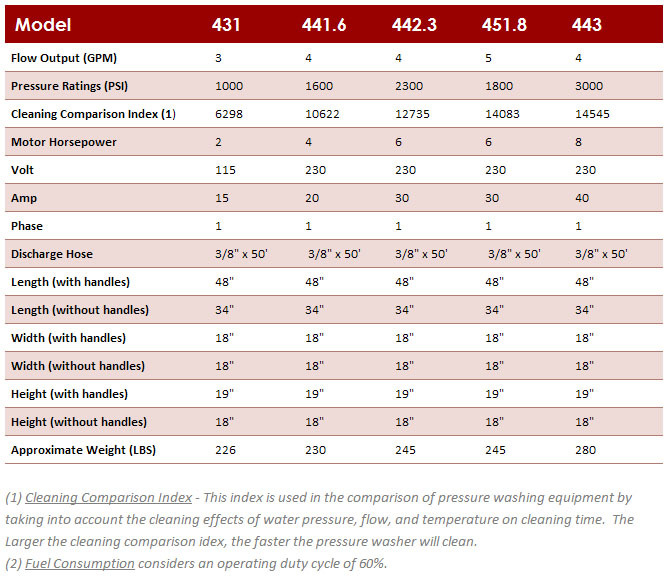 With 1000 to 3000 PSI and 3 to 5 GPM, these units are designed for a variety of cold water cleaning jobs. These compact units are durable belt-driven using ceramic plunger pumps that produce a variety of water volumes and pressures. Chemicals are brought through the system at the gun under low pressure allowing caustic chemicals to bypass your system's pump. This also gives you the option to use two separate chemicals. 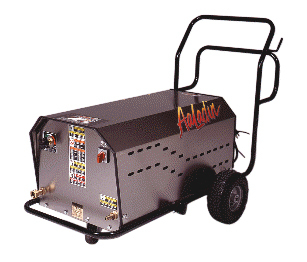 Available for all models of pressure washers. Whenever pressure is a concern, the AaLadin Variable Pressure Wand can be used to adjust the pressure from the machine maximum down to 300 PSI. The Remote Operation Station allows the user the ability to operate the panel controls away from the unit.